Gerry Thompson was born in and grew up in Vancouver, British Columbia. She spent several years in Alberta, where she taught music at a college and also earned her Associate Degree from the Royal Conservatory of Music as a Solo Performer in piano. During this period, Gerry also discovered a love of painting. In 1974 Gerry moved to Abbotsford, British Columbia. She continued to teach piano and music theory and played violin in the Fraser Valley Symphony Orchestra. 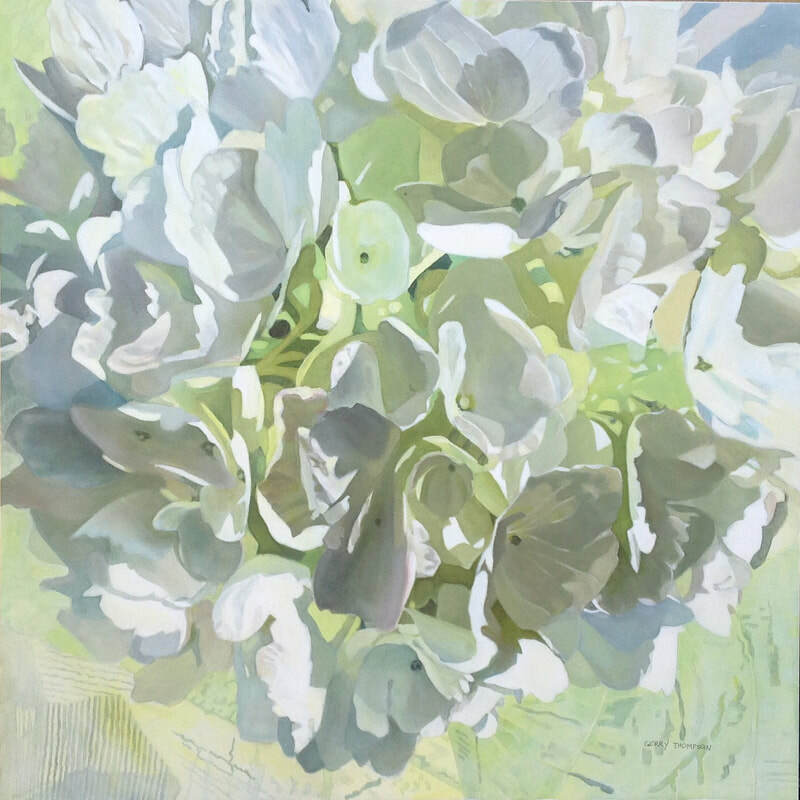 Continuing her art education, Gerry graduated from Fraser Valley College, majoring in Painting and Printmaking. Gerry is an award-winning artist, and her paintings are found in corporate and private collections throughout the world. As a popular workshop instructor and juror she has travelled to locations in Canada, United States, France, and Spain. Gerry contributes to her community through her involvement with the local chapter of the Chamber of Commerce.